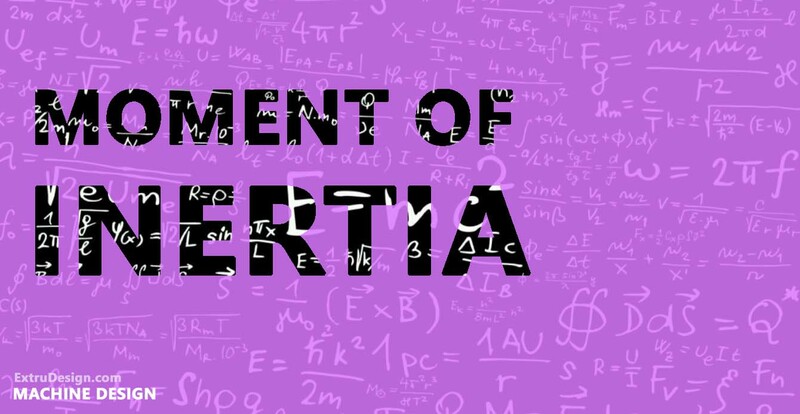 What is Moment of Inertia formula Derivation? Topic: What is Moment of Inertia formula Derivation? First of all What is Inertia? Now let’s see what is Moment of inertia? how it is different from the word “Inertia” and “Moment inertia“. The physical object is made up of small particles. The Mass Moment of Inertia of the physical object can be expressed as the sum of Products of the mass and square of its perpendicular distance from the point which is fixed (A point which causes the moment about the axis Passing thru it). Les take a consideration of a physical Body having a mass of m. This is composed of small particles whose masses are m1, m2, m3, …… etc. respectively. The perpendicular distance of each particle from the line as shown figure are k1, k2, k3, …… etc. From the concept of the centre of mass and centre of gravity, the mass of a body assumed to be concentrated at on point. where k is known as the radius of gyration. 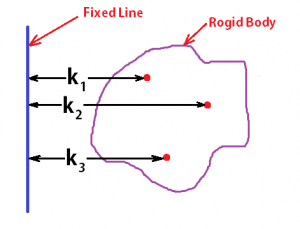 What is Radius of gyration? Radius gyration can be said as the perpendicular distance from the axis to the point at which the whole mass of the body is to be assumed to be concentrated at that point only. And also it should satisfy the eqn 2 expressed above. Then only it is said to be a radius of gyration. Some related definitions with the mass moment of inertia are described below. The angular moment is described as the product of the Mass Moment of Inertia and the Angular Velocity of the body.